Here is my UFO finish for June- Crab apples! This is a pattern from Bonnie Hunter's book Adventures with Leaders and Enders. 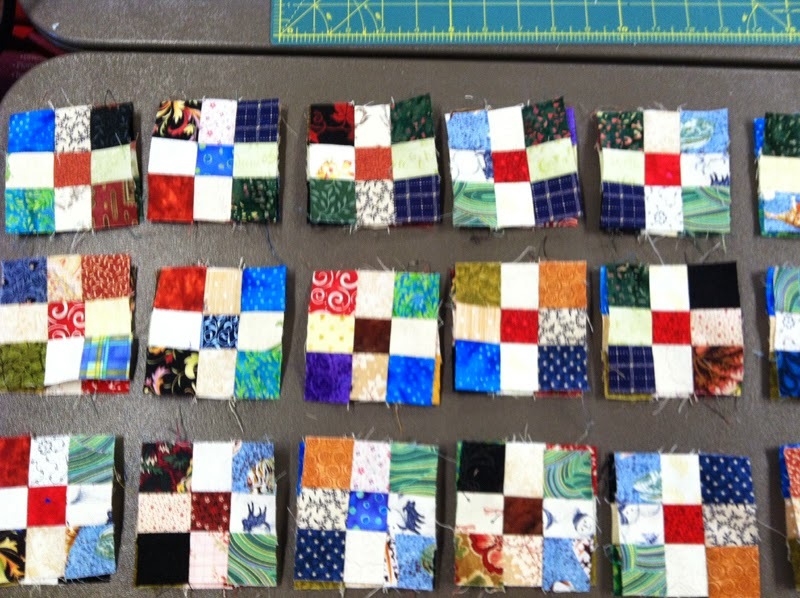 It started out as a swap with a great group of my quilting friends. We traded the nine patch blocks pictured below, so we would have lots of variety. 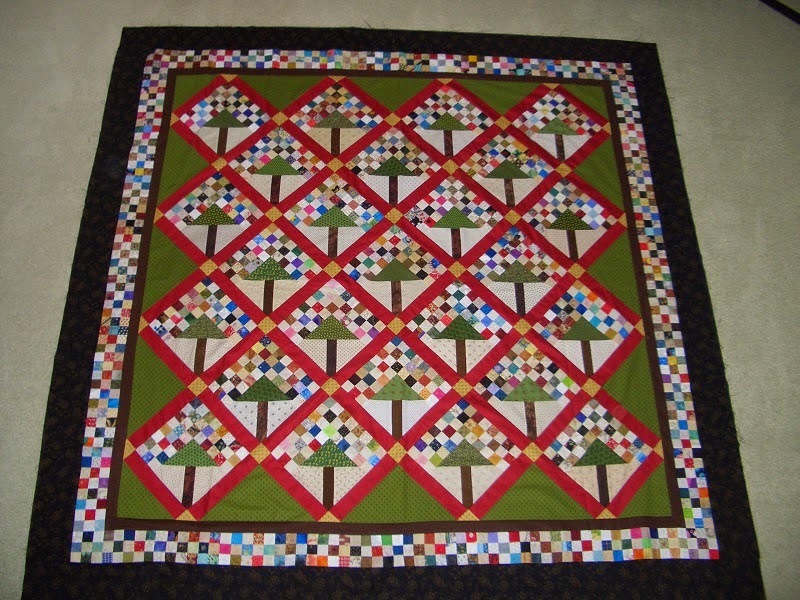 I finished the quilt during our annual quilting retreat last weekend. We had a great time and I think everyone got a lot accomplished. We are half way through the year and I am happy to report that I have actually been able to keep up and even get a little ahead. Hope you are making progress on all your UFO's this year! Kerry, that is a great finish! I love Bonnie's Leaders and Enders projects; it's amazing how much you can do that way!